UFC president Dana White has just announced via his Twitter account that Hall of Famer Randy Couture will fight former middleweight champion Rich Franklin at a yet-to-be announced event. 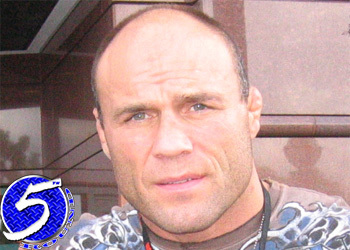 “We are doing [Randy] Couture vs. [Rich] Franklin not Chuck [Liddell],” White wrote Saturday afternoon. It’s possible the two could headline the hotly-rumored April 17th show the UFC is planning to pit against “Strikeforce: Nashville,” however that is pure speculation based off FightersOnly’s report earlier this morning. The source also told FightersOnly that Franklin had agreed to step-in against “The Iceman” to headline the last minute April 17th event. Ortiz and Liddell just completed filming “The Ultimate Fighter 11” and were rumored to meet at UFC 115 on June 12th. Based on White’s comments, that scrap still appears to be on, but you never know when it comes to the modern day Don King. “The Huntington Beach Bad Boy” failed to elaborate as he normally does, so all was presumed to be well until today. For now, all signs seem to be pointing to a Couture vs. Franklin light heavyweight bout going down around the same time Dan Henderson challenges Jakes Shields for his Strikeforce middleweight title on CBS. MMAWeekly.com also published an article confirming FightersOnly’s report, however says Liddell/Franklin will headline UFC 115.